I have been kindly requested to post a few pics here so here they are. Please keep in mind : this is not yet a review!! I will have many things to say about them, hopefully good 😉 I have to specially share why after my story with the old set, today I ended up with the full collection! The white hair brushes are not “Koyudo” or “Hakuhodo J Series” type of soft, but they still are extremely nice, slightly softer than the Kabuki from the old set and more nicely shaped. 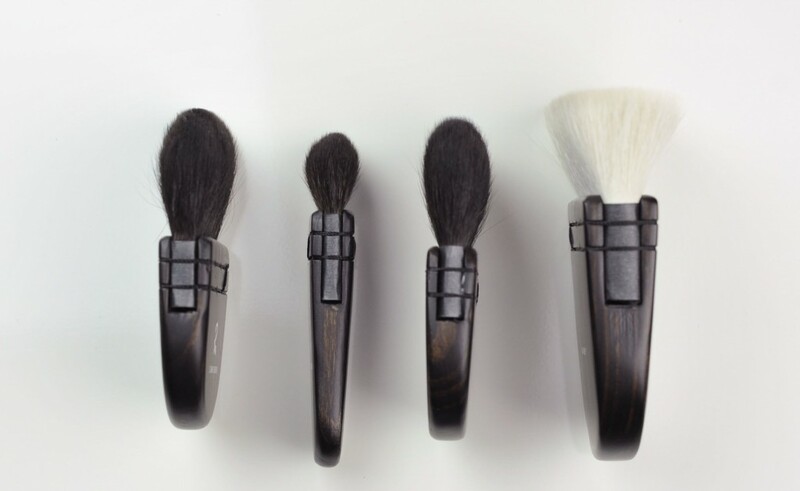 The squirrel hair brushes are insanely soft so I can only recommend you to go ahead with your order if softness was your concern (you won’t regret them). The 21 mineral buffer is also very soft and the 22 pro powder (although I wish it was denser) is amazing kind of soft, I am tempted to say that this one is close to Chikuhodo Z-series type of soft but I would like to wash them and confirm to you how they hold on and how they go into shape after the wash.
And here are the rest of the pics I took today but they are pre-washed, final pics in my final review! As I said I will have so many things to say about this set, how it got improved, what I like and why. I am working on it and will share A.S.A.P. ! Rae Morris Magnetic Range – Tiny Sneak Peek was last modified: September 22nd, 2014 by Sonia G.
GORG PICS SWEETIE!!! Still not tempted to get the deluxe kabuki cheek brushes due its magnets. It would be different if I have my own “Beaute Boudoir”. But I dont, so due to lack of storing space I just cant get the plates. 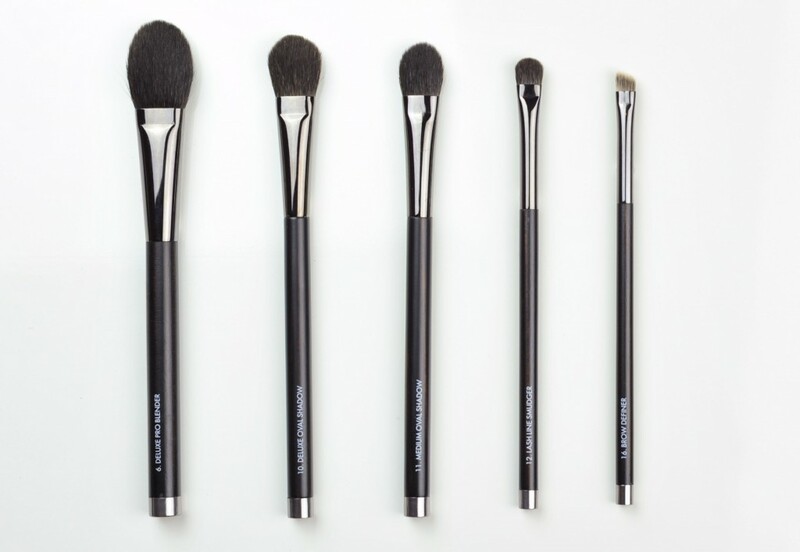 Very curious abt the cheek bone brush and if the black Radiance is of the same quality as the latest version. A removable magnet would have been a great option for these! But I guess Rae is too magnetized to her magnets huh! My 2 new metal cabinets are already FULL 🙂 🙂 so, NO space left for magnetic brushes atm! Sonia, the Radiance is painted wood right? Does it look like the Kiwami? Those are painted too?! I wonder how the paint will hold or if they will wear off after so many use. lol Melissa, actually I am planning on hanging my plates on the wall (like shelves, with shelves hooks) so it doesn’t take any space on my beauty dresser 😉 I have two so one on each side of the dresser! I used the new one today and performed better than expected so I may be wrong, need a few days. For sure the squirrel brushes are much better quality! I know, I am sure he would love to do that, if only he had time. He was even ejected from physics class because he was always proving the teacher didn’t get it right and the teacher couldn’t end his classes in peace with him around… he is insane 😀 I am super proud of him, believe me if he had time he would do it! I just regret that the magnets are not an option so that people who love them can have them and those who prefer without, could be happy too. I think there are customers on both sides, we’ll see how this ends with me but honestly I love too much the brushes and I would have loved this range with or without magnets… even the lipstick brush and the eyeliner and concealer, they are just great, the lipstick brush has just the perfect flexibility and size, the control is out of this world! Now its the first time i really can see the new handle of the radiance and i like how they improved it ! I felt these at the last Sydney IMATS and I think they’re a definite upgrade from her previous range. Do you know if the ultimate cheek bone is as small/narrow as the previous version? I love the softness of the new one but I saw it on youtube and it looked a bit bigger/fluffier! For me it’s better that it is fluffier but I see what you mean, I use other tiny ones for contour when I want to keep it small and precise. Big fan too!! warm hugs from Switzerland! Awww geez I really like the dark handles. Wonder if they do trade-ins lol. Great review and photos…this really helps me with my purchases! YAY Sonia :)))) I do VERY much hope that the issues you’ve had with RM since as long as I can remember will finally be buried with this collection! I am really enjoying the new & vastly improved Rae Morris brushes! 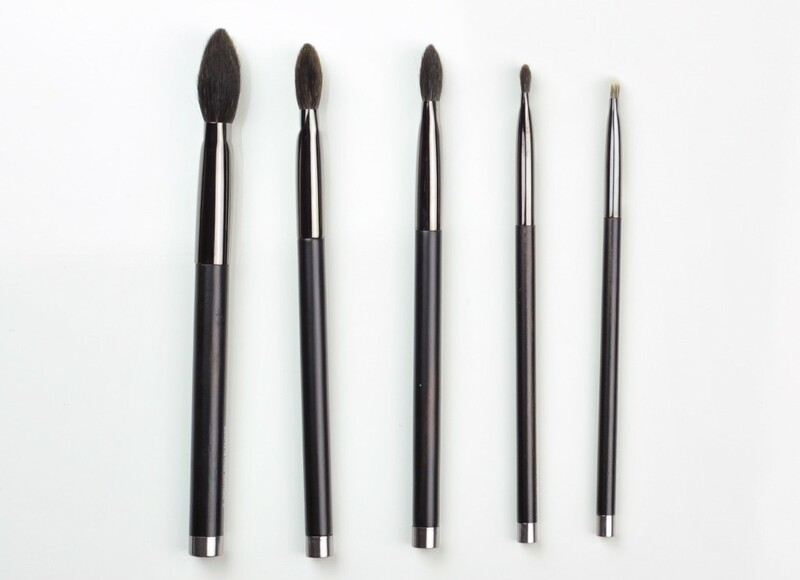 The old set certainly had quality & consistency issues, but I still loved the innovative forms of the brushes. I’m totally thrilled that my investment in her new range has payed off so tremendously. Even the magnets are no longer really an issue for me. The price of the brushes is certainly not for the weak of heart, but the quality is very evident in this set & I don’t for a second regret the splurge. My personal faves are the # 21, 22 & 23 – which is totally back-up worthy!! , the mini kabuki for contouring, ALL 5 of the shader brushes & of course the new & very beautiful radiance brush. I soooooooo hope that you will find your peace with this lovely set. Did you buy the whole set, Buggsie??? have you completed your move yet? No, I didn’t buy them all, but have gone back for seconds on some of them already. The # 23 is my # 1 !! Love it! I skipped the liner brushes, the concealer & lip brushes, fan brush, foundation contour brush & the brow & mascara combs. The #16 angle brow/ mascara definer from her old collection is still my favourite for combing my brows. I know that it’s meant for mascara, but it has the perfect combination of firmness yet soft/ gentleness to brush my rather wimpy brows after I’ve applied brow pencil. I’m so glad that I got a back-up of that one before it was discontinued. Ohhh a definite improvement! I have to say I am tempted by quite a few of them, and as the ultimate cheekbone had been on my to-get list for a while, I might just go ahead after reading your review! Thank you for taking the time to thoroughly review these and collect your thoughts, I know how the previous set was disappointing to more than just a few of us here! 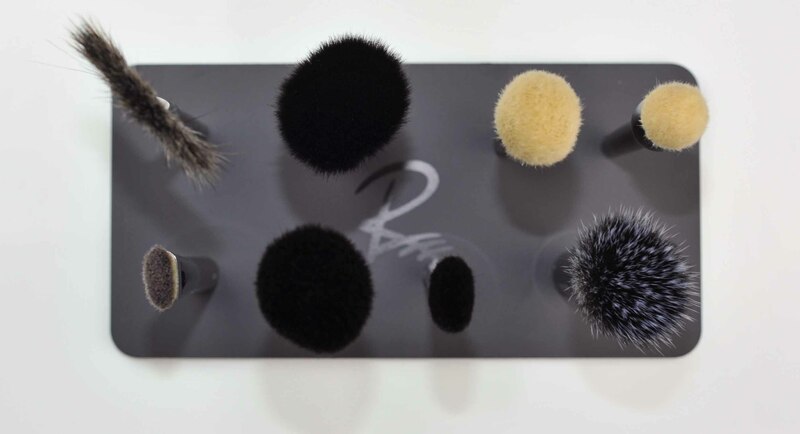 I know nothing about these Rae Morris brushes but they look stunning. I’m ignorant, what is a magnetic brush and why is it a cool thing? Does it help pick up the iron oxide in powder better? 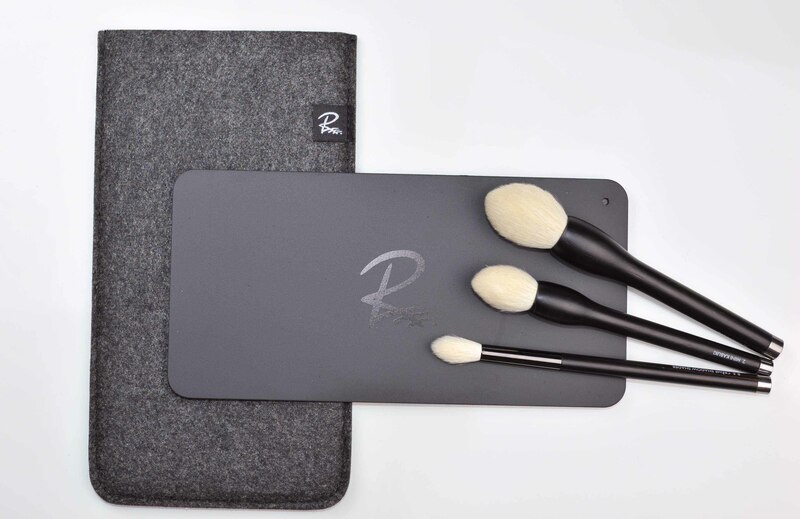 I vaguely remember some brushes a few years ago–I don’t remember what brand, an indie makeup artist?– with this magnetic thing, I never bought them but I don’t know how valid a concept it is. 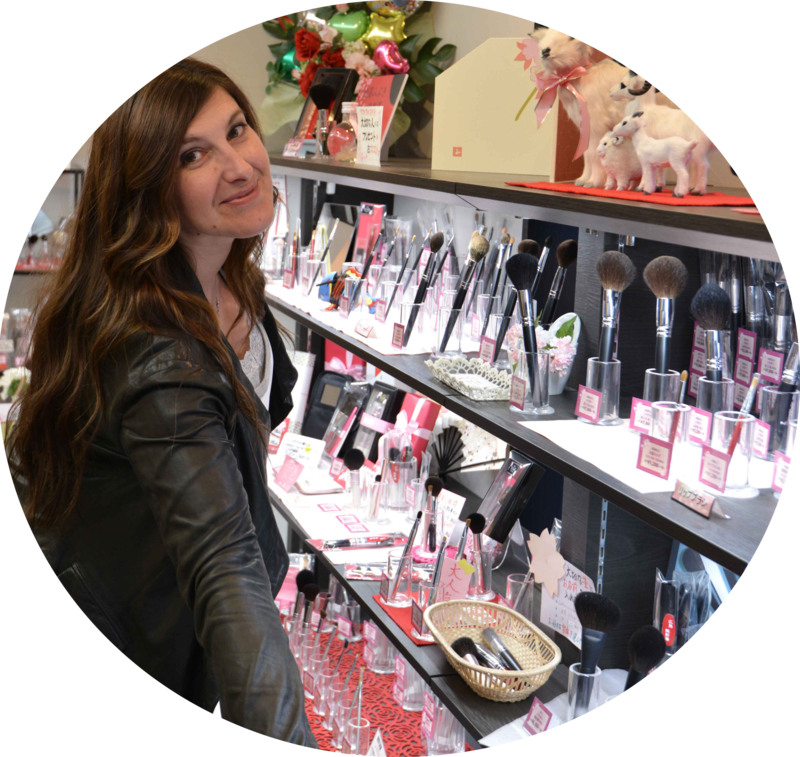 In my brush adventures, I have experienced how different a synthetic brush fiber picks up loose powder vs. an animal keratin hair, a keratinized hair strand has more microscopic “teeth” and picks up a diffused amount, at least this is my experience. Does a magnetic brush do something different? In an unrelated topic, I ordered the Wayne Goss set and received it in 2 days from Beautylish–it’s back in stock. 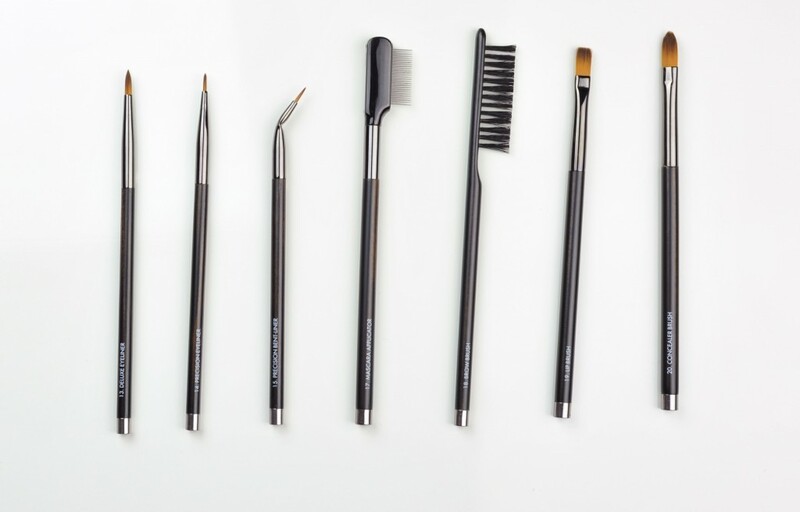 And it’s totally fabulous, I’ve spent certainly more than $200 on the Hakuhodo website with a hit-or-miss collection since I’ve never been able to see and try before buying–and Wayne’s brushes are a fantastic edited collection, a no brainer. Your thorough review was instrumental in helping me decide :-)) THANK YOU! Hugs from the Florida swamp!!! Funny she says the magnets are inside the ferrule and move around (I just can’t work with knocking brushes so if the Darac brush magnets are moving by default, there is no way I will be able to enjoy it. 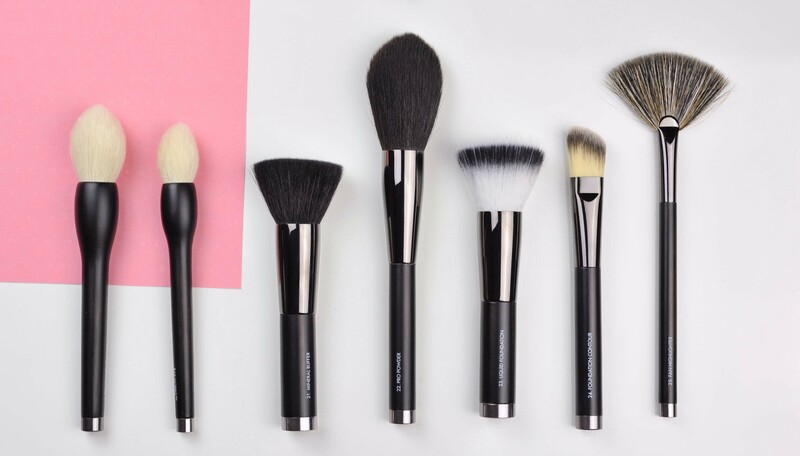 The TourQuam 3 D Face sculpting Brush is a luxurious and revolutionary make up brush designed to give you the most complexion-perfecting makeup application. 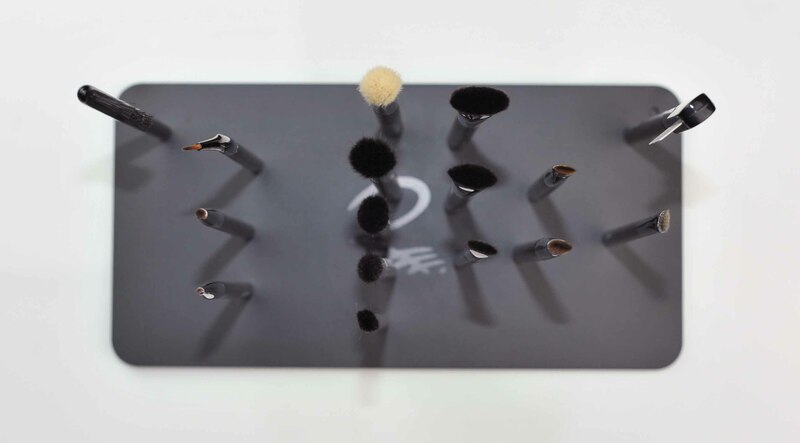 Tourquam is the first brush created to efficiently and evenly propel powder across your face. It’s like having a makeup artist in your brush. This Tourquam brush is a similar, but smaller, version of the Tourquam Luxe Brush. Please be advised that this brush contains a magnet that may interfere with pacemaker or similar medical device. So magnets in brushes… I am addressing this topic with a professional and will give you a feedback on using magnets near your heart but the first feedback I had is that for a magnet to interfere with a pacemaker, it has to be of a different kind of magnetic field and much much bigger. So I am not convinced that this description is accurate. Although I wouldn’t store them near credit cards of they may just erase the magnetic stripe when those cards still use them. Magnets erase the data stored on your credit card by realigning all those iron particles and making them unreadable. One of the ways you can preventing your card from becoming demagnetized means avoiding items with magnets in them. 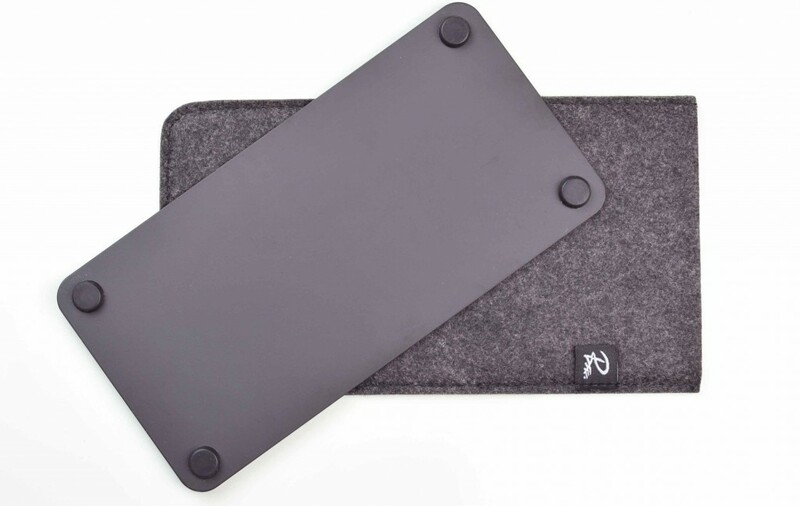 These include obvious magnets such as refrigerator magnets or magnetic closures on wallets, but also include less obvious magnets such as the ones found in speakers and regular television sets. Security scanning devices will also scramble a credit card. While magnets are the most common way of destroying stored data, carelessness can also ruin the magnetic strip on a card. Men seem to have more problems with this than women, but only because of the difference in wallet styles. Most women’s billfolds have dividers to keep credit cards separated from each other while men’s wallets tend not to. Storing credit cards back to back can erase or damage the magnetic strip and render it unreadable as well. Thank you for your support and your kind comment! and thank you–it was Darac Tourquam!! I remember reading about them years ago but I completely forgot the name, too much stuff in our heads…. ah, snow from Switzerland, want to trade for a bit? It’s seriously hot today had to put the A/C on!! but tomorrow a bit more cool air comes….hugs!!! yes I trade with you RIGHT NOW!! The handles especially on the fan brushes look better crafted. They are now really nice to look at. I don’t really feel tempted though. Due to the magnets I would only like to have one single brush to avoid the hassle with the magnets. So maybe if there is one in particular that performs fantastically, I may buy one. There is more than one that perform great, still preferring them without magnets though. The most annoying moment is when I wash them, they always end on the floor because I am always rushing but other than that, in the morning it doesn’t bother me, got used to the plates. That said, if you have many brushes you need two plates or otherwise sometimes two hands to pick them up (only if they are too many together)… imagine how good they must be because even with that, I do love them and reach for them daily. 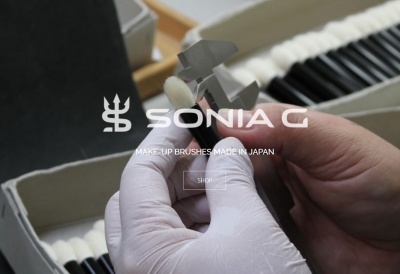 just because I’m curious: are the brushes made in China or Japan? The old ones were made in China, when I remember properly. I can see the improvement already on the pictures, they look really stunning. Thank you for the sneak peek, looking forward to read your full review (and the opinions of all readers in the comments). I will do my best to get that info for the review. I remember seeing Rae in a video in the manufacture but not sure yet for this one. I can’t wait for your review! How’re you liking them so far?? I’m thinking that there’s definitely going to be a happy ending to this story. In terms of loving how they perform, there is no doubt about it, I am loving them, even the lipstick, liner and the concealer brushes. 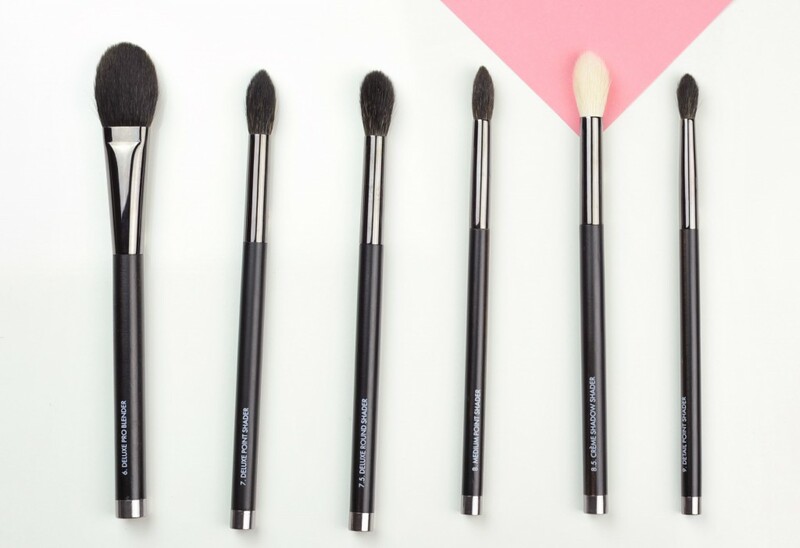 The lipstick has a particularity that I don’t find in other brushes, it remains flat and thin, where others often narrow at the point even if they are square, the lipstick brush handle is longer than other brushes therefore it feels very natural to use it, it’s even one of my top favs of the set! This time the eyeliner brushes are easier to handle (more weight) and the point is soft and has enough flexibility. The concealer brush allows precision and helps me with the La Mer concealer that I am not that much liking 😛 but with this brush for some reason it’s applying it better and sheerer. Still working on “the liking of the magnets topic”, the overall look of the brush with the magnet is beautiful but the magnets are still not adopted, I need to work on it, the more the days go by the easier it gets and the less I feel clumsy but yes despite me struggling, there is a high probability for a very happy ending story! I have paid for part of the set, not all the set, some of them they have been given to me, but I want to share the full story with you all in my review and I will exactly say why I like them or not, I have extended comments on every single one of them! You know, I think the magnets bother me less because I don’t store all the brushes together. I have them standing in different glasses with similar brushes from other brands. In any one glass I only have 1 or 2 of the Rae brushes so they don’t really get close enought to stick together. I do find that the magnets are much less of a problem in the new brush design. I still don’t really get the need for magnets, but I like them anyway. The # 23 is, in my opinion, even better than the orginal & I love it. Sorry, I think I’ve mentioned that before about 100 times ;p ?? It’s really my HG foundation brush. Sorry. Really badly written……”I still don’t really get the need for magnets, but I like ‘them’ = ( the brushes, NOT the magnets!! ) anyway. I ordered the Kabuki set just before Christmas and then liked them so much I ordered the whole set once Rae Morris announced the introduction of the metal Rae plate last week. I’ve been playing with them this weekend and I really like the brushes. The individual brushes are good but for the price, I do think that you have to like the magnets. With the plate, the magnets make sense and work the way Rae intended but without an appropriate surface for the magnetic brushes, it’s just annoying. When I came to wash the brushes I took them to the bathroom in a cup and obviously they all stuck together. Even when lined on the plate, if you have two brushes too close together then will stick together. If you have the whole set you ideally need two plates (I’ve ordered another one). Overall some of the brushes aren’t dense enough for me but they are soft and the pointed crease brushes are great. My favourite so far is actually the new Radiance and also the lip brush and concealer brush. I really like the thickness of the synthetic fibres in the lip and concealer brush. I might need to order a couple of extras. Not having owned any of the first set, I was a bit more open to the idea of the magnets in the new set. But of course like everyone else I await Sonia’s full review with great interest! I agree with you, either you like the magnets or you take the plates (or if you don’t want to splurge, any other metallic plate but the plates look nice and pro). Like for many things that are new and innovations, we may need time to get used to them so I allow myself a few days to really balance my final opinion. thanks for the link 🙂 I am also a big huge fan of the lip and concealer brush. I never use a lip brush,so I’ll skip that, but with all the praise of the concealer brush I think I’m going to HAVE to test it. What is so great/ special about it??? I have good news, I finally finished my huge task-project-whatever at work and I will as of tomorrow be able to catch up with all your comments and answer them. I had to work all weekend, day and nearly night 🙁 Just wanted to say that to all of you, I am still here, just totally under water with work. Also am preparing the two reviews (Rae and Kiwami!!) took so many pics tonight! Sonia, I LOVE, LOVE your Brush Tempel pic ! It’s soooooo mega cute!!! I think your day does have more than 24 hours!! I found that pic while researching some things for work and I thought “that’s it”!! I bought it then I just had to add some stairs and a few little guys… with my little design knowledge! Life is starting to get back into track, and I will be spending more time here with you, I just can’t wait! Still catching up with emails and comments but if only days were a little longer that would really help. bouncing happy with your comment about the Temple so just wanted to say a quick thank you!